What!? 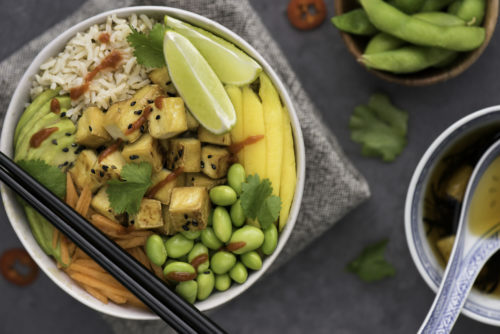 A Vegan Chickpea and Ketchup Curry, you say!? Ketchup!? Yes, you heard me. This quick chickpea curry doesn’t have to look pretty to be an absolute lifesaver. If you are ever on a campsite with few ingredients to hand: chickpea ketchup curry. 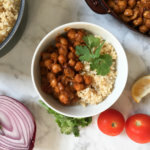 If you are ever at someone’s house who isn’t vegan and wonder what you can make: chickpea ketchup curry. You get the idea. Lifesaver. You won’t be serving it at dinner parties but when the cupboard is bare you’ll be in and out of the kitchen in 20 minutes flat, warm and happy. For all you Indian curry purists out there who think ketchup and curry don’t go together, there’s a reason that you will always find a bottle of Heinz ketchup plopped beside you in a cafe when travelling in India. And OK, if that might just be tradition and not a real choice as a taste-enhancer, then I invite you to try kasundi, that infamous Bengali tomato-based condiment. Now tell me if the whole idea of a sweet and acidic tomato-based sauce with mustard spiciness is so far fetched. Mustard seeds, tomato paste. Mustard and Ketchup. See where I’m going? When done right, ketchup works, period. 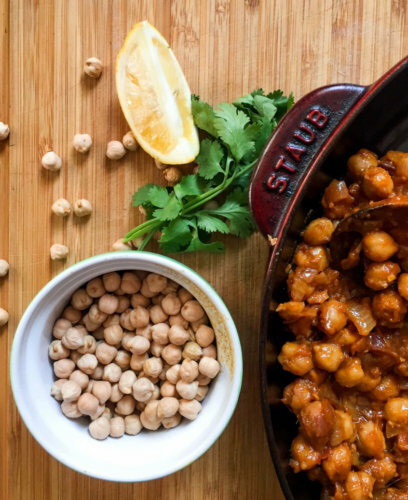 This chickpea curry is based on a recipe from the British Hugh Fearnley-Whittingstall’s amazing book ‘Veg Every Day’. It has a special place in my heart, as this book was the first of many steps I took towards veganism. It had me looking at vegetables and flavors in a whole new light. I’ve since adapted it as a vegan version and simplified it even further. This is a quick dish. 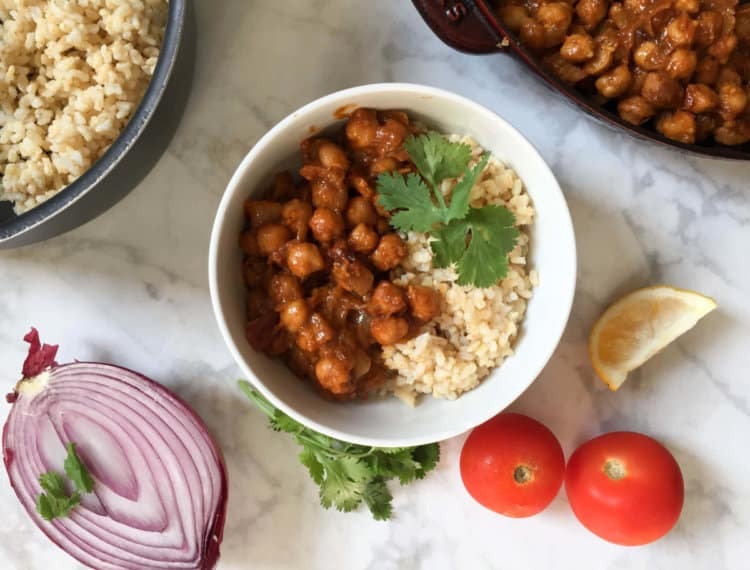 There will be time for other masala recipes with all the heady aromas of cumin, toasted coriander seeds, paprika and other fragrant wonderful-ness, but this chickpea curry is about getting the job done and getting it done quickly. And with a punch of flavor. 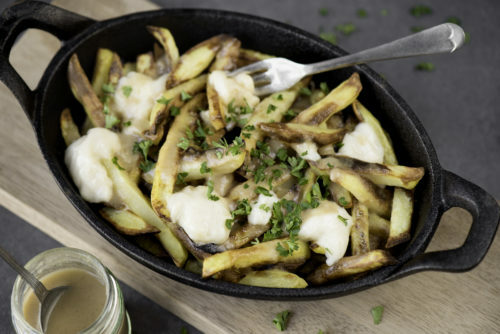 I make this with brown rice when I have the time but when I want to be in and out the kitchen I use instant rice or even kale or spinach flash-fried with garlic and a squeeze of lemon. Heat the oil in a frying pan on medium-low heat. Add the onion and sweat for about 6-8 minutes until soft and golden. Don't rush this part. Stir in ginger and garlic and stir for a couple of minutes before adding the curry powder. Continue frying and stir for 2 more minutes. Add the chickpeas and tomato ketchup with a dash of water to loosen things up. You're trying to get the consistency of a sauce, so stir for 20 seconds before adding more water if needed. Simmer gently for 5 minutes, then add lemon juice. Taste and season with salt and pepper. Serve with instant or cooked rice, flash fried spinach or kale with lemon juice, with bread or pitta to mop up the juices.